Students at Pool Academy are getting into the Christmas spirit by creating a number of seasonal crafts. A small group have been meeting up to make different items including willow stars, snowflake paper decorations and colourful bunting. 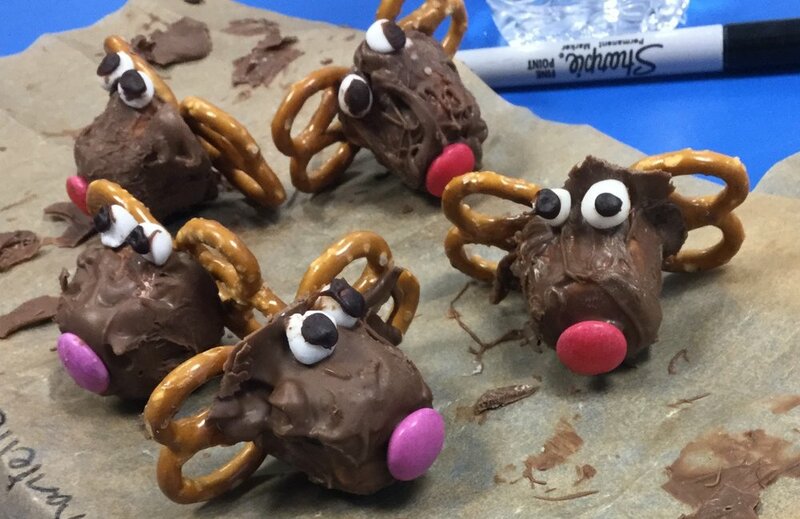 Yesterday(MON) they were given the task of making edible reindeer out of marshmallows, cake icing, pretzels for antlers and melted chocolate. The students said they enjoyed making the reindeer and thought they tasted nice.